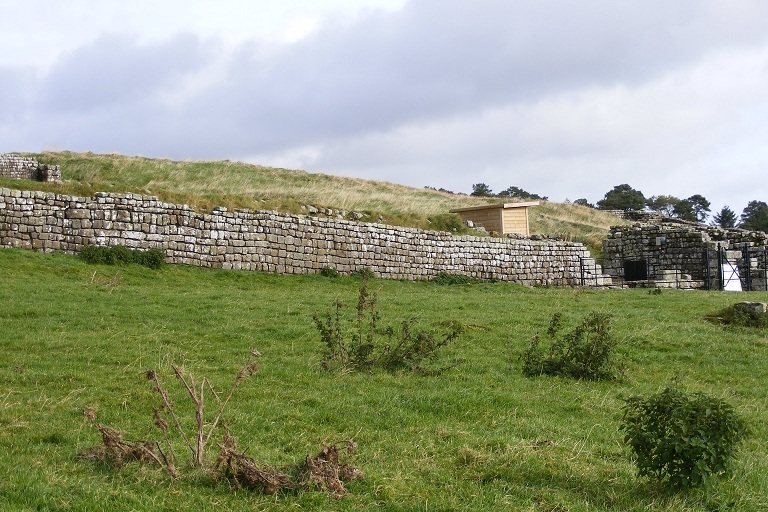 Having finished early on the previous day, the intention today was to make up some of the lost miles and to endeavour to walk from Broccolitia Fort as far as Walltown Quarry, about 15 miles. 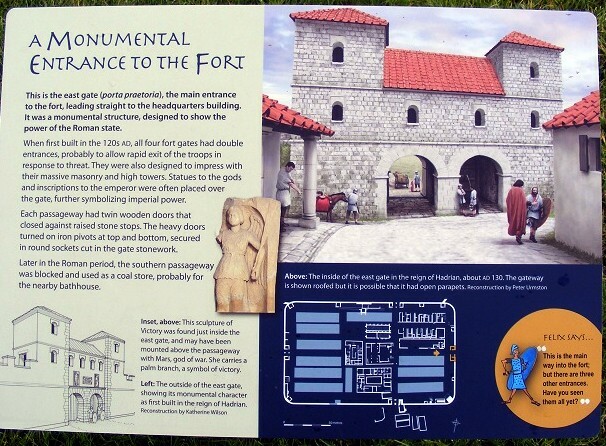 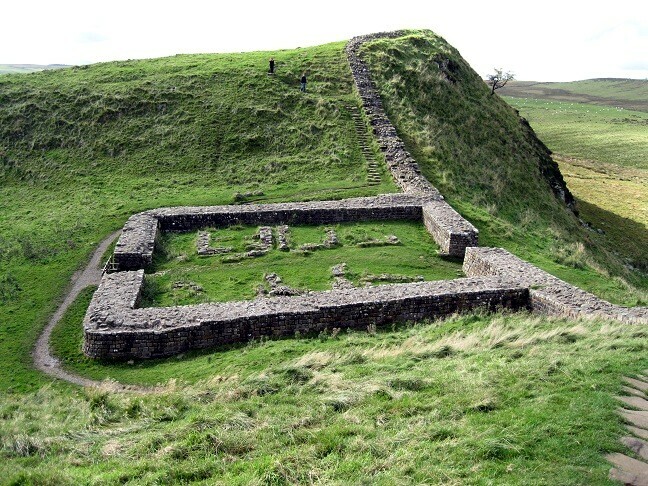 Notable points to pass were Housesteads Roman Fort and Sycamore Gap. 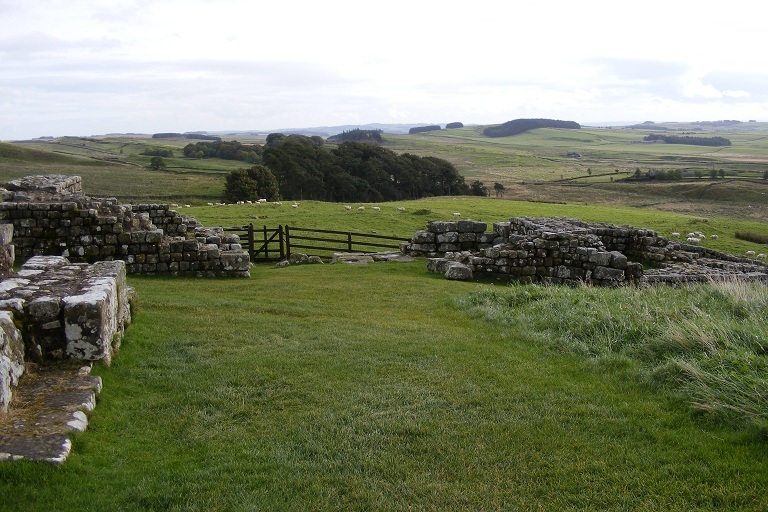 Some of the best scenery and Wall remains are in this section. 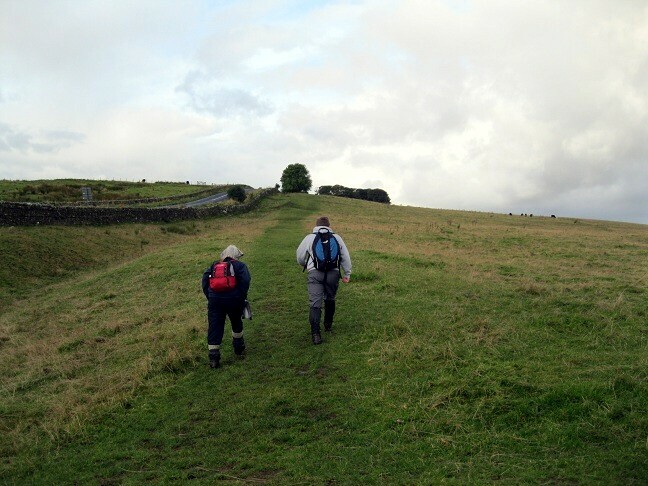 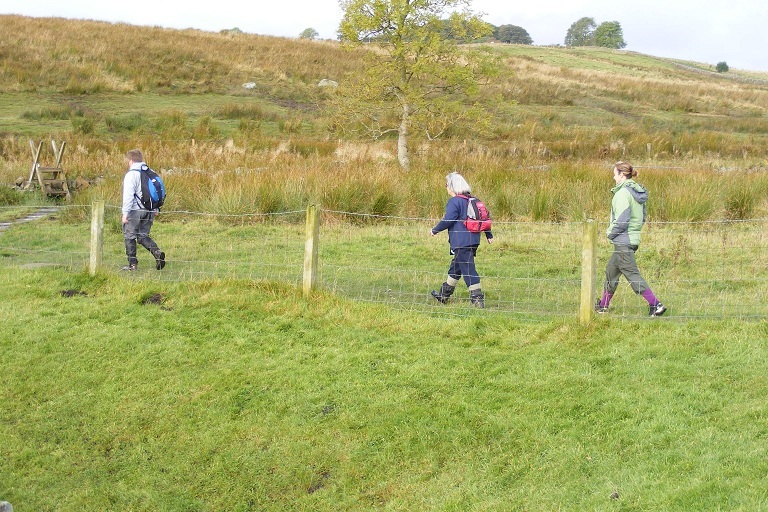 In the event, the weather was better, the footing was better, although very wet underfoot. 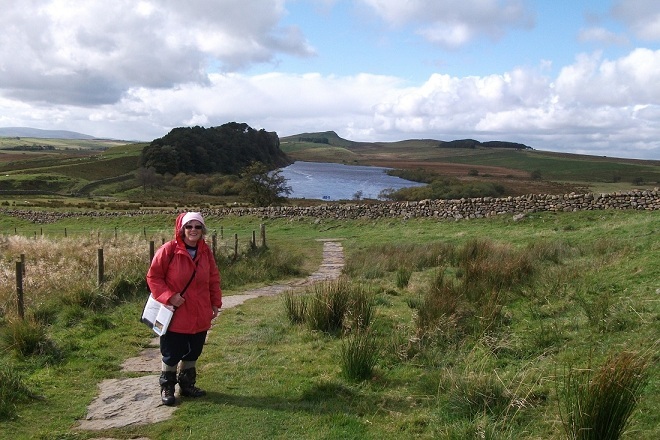 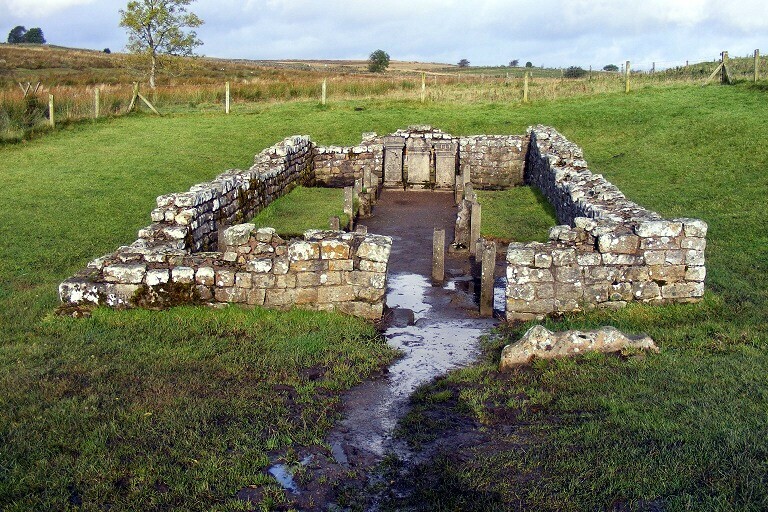 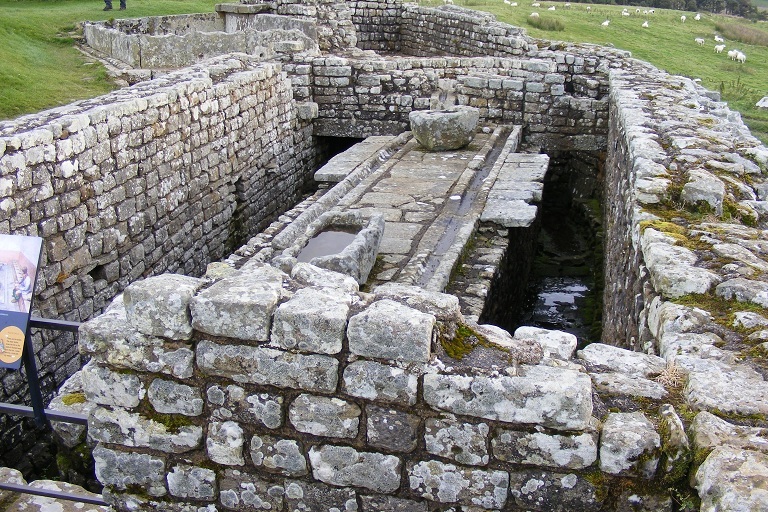 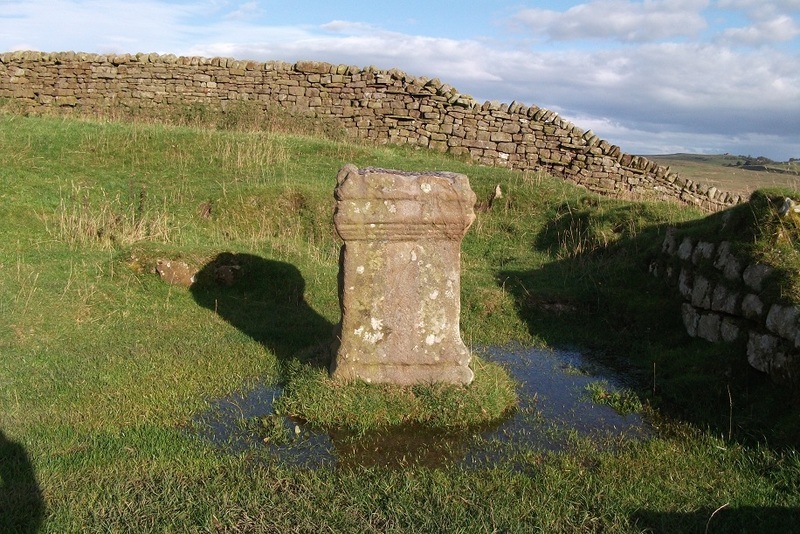 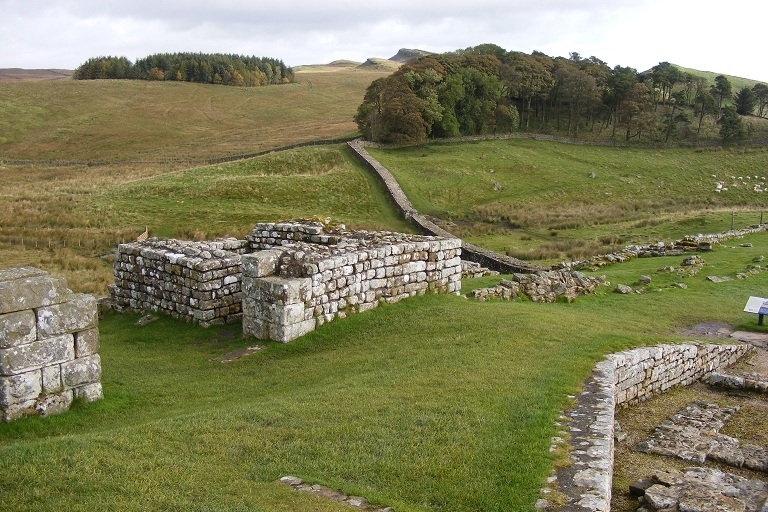 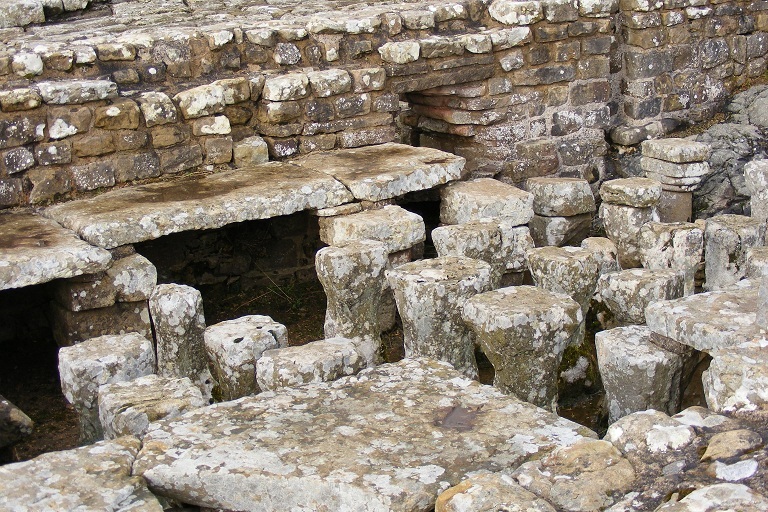 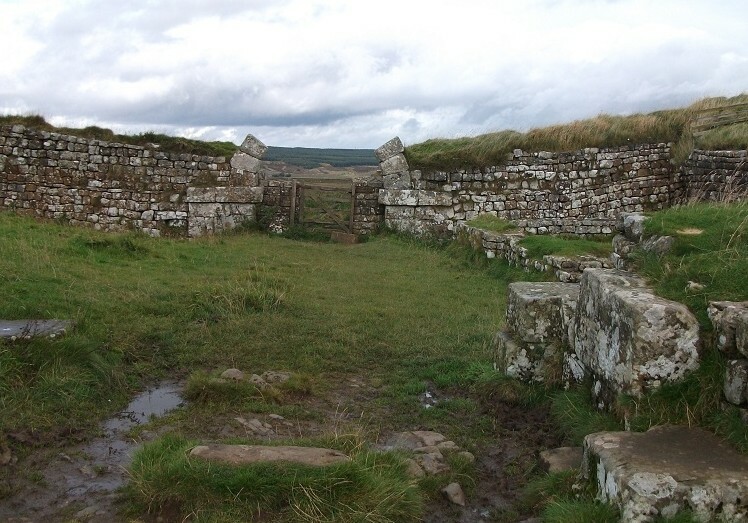 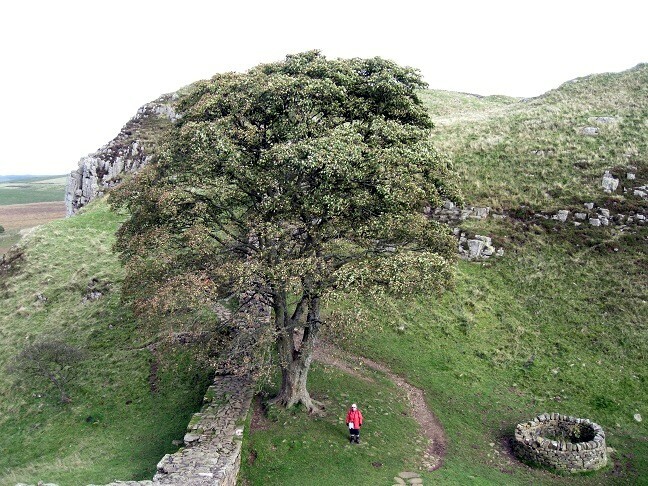 Alison walked as far as Housesteads before it was time for her to finish and make her way home. 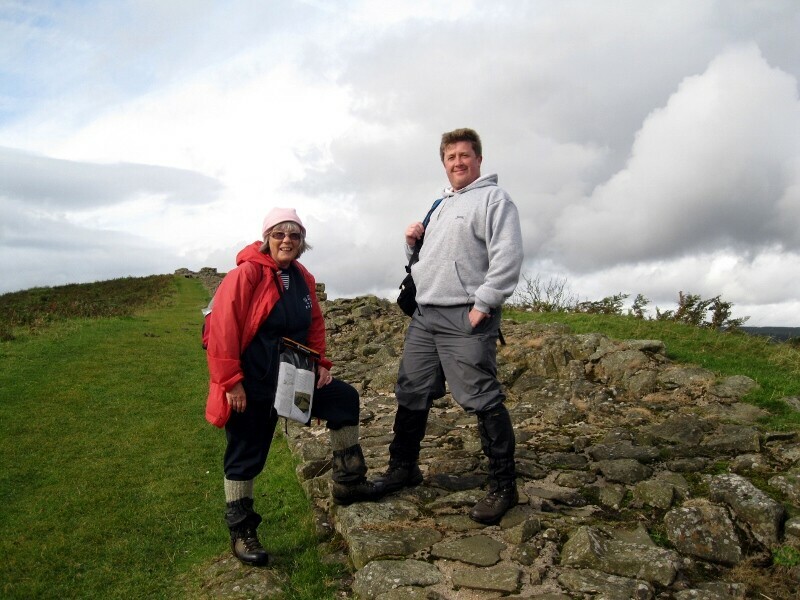 Elaine and Marcus made it to Walltown Quarry, arriving about 17.45. 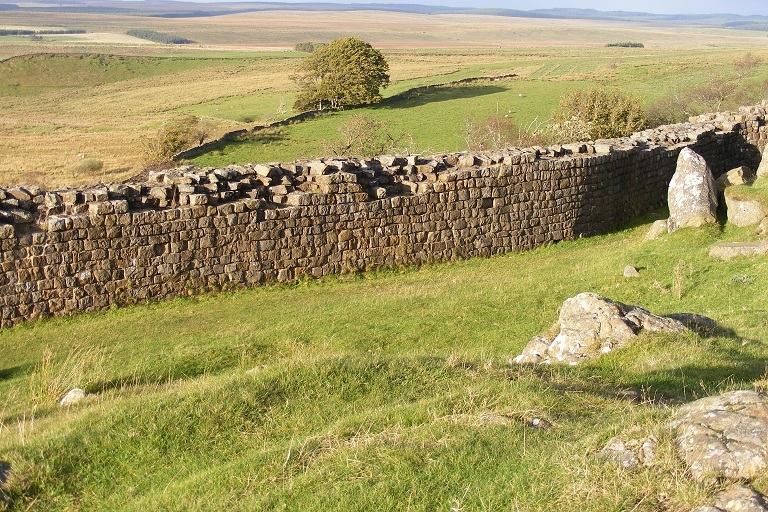 The quarry has destroyed a long section of the Wall although the Vallum is still largely intact. 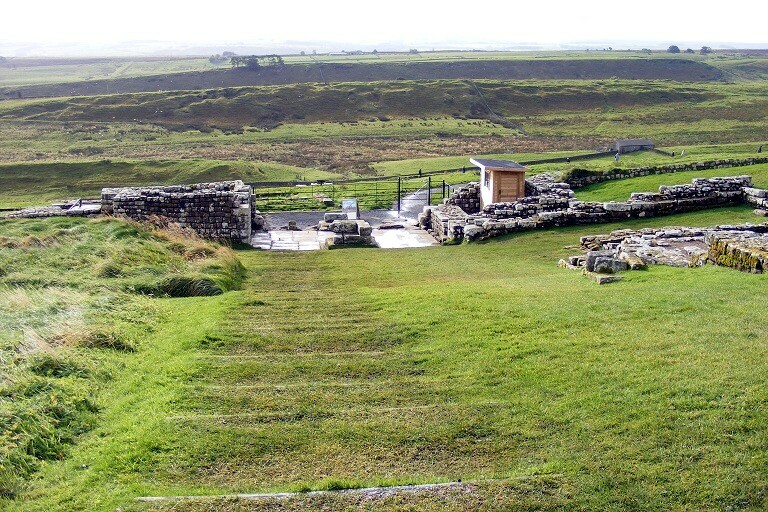 The car park at the quarry is good and there are toilets and a cafe. 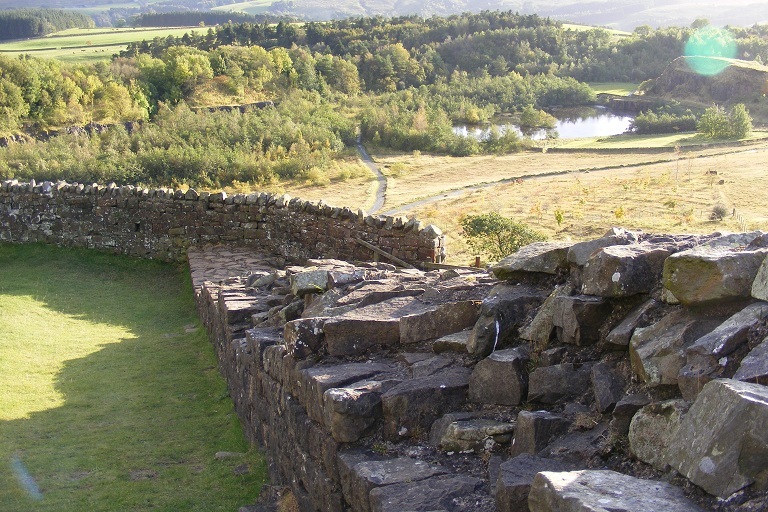 At Walltown Crags a very nice stretch of Wall runs along the edge of the crags but disappears where a modern quarry has destroyed a long stretch.